On the square lawn, this lovely pride of India tree is now in full bloom with yellow clusters of flowers and some early fruit pods. 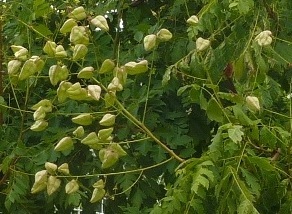 The pods will turn red in autumn and each will contain three black seeds. Other common names are golden rain tree, varnish tree, shrimp tree. 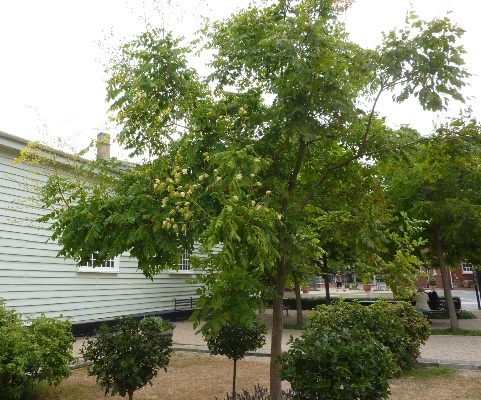 The tree was donated by Mrs Gilly Drummond OBE DL and planted in 2004.